Jung is the co-founder and former CEO of the giant gaming news outlet IGN. He took the company public and eventually played a major role in its sale to News Corp. where he sat on as COO of Fox Interactive Media. His position at News Corp. put him in charge of Myspace and IGN Entertainment as well as other large networks like FoxSports.com. Jung continues OnLive's push for new leadership alongside former Director of Partner Management at EA Carrie Holder and former VP of Playdom.com at Disney Rick Sanchez. While the company's internal reorganizing is certainly an important part of the its success moving forward, it is also announcing some new services it hopes will make a difference. First is CloudLift, a service that will allow gamers to access their personal library of titles through the cloud. 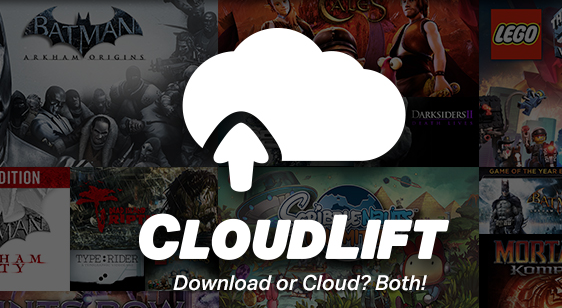 For example, if you have a supported title installed on your PC, a CloudLift subscription will allow that game to be accessed on any other supported tablet, PC or TV. While the list of supported titles is still thin at this point, the company says it plans to add more. The CloudLift service will work with supported titles no matter which digital distributor they are purchased through, according to OnLive. A CloudLift subscription will run you an additional $15 a month. You can expect to see titles like Batman: Arkham Origins, Saints Row IV and The LEGO Movie game (among others) supported at launch. The second feature is OnLive Go, a service the company says will allow for MMO's to be played on the go. It is a platform for developers that comes with a number of features, mainly the ability to run graphics heavy games on lower end devices by allowing OnLive's servers to handle the processing load. It will also allow for instant-start options, so gamers wont have to wait for lengthy download times on larger titles. Speaking of processing, OnLive also mentions that it has upgraded much of its infrastructure with thousands of new servers and that gamers shouldn't experience the same level of performance issues as they have in the past. Even after deep financial issues and having its founder Steve Perlman leave in the summer of 2012, there still appears to be some fight left in the company, but only time will tell if the leadership changes and new features will be enough.